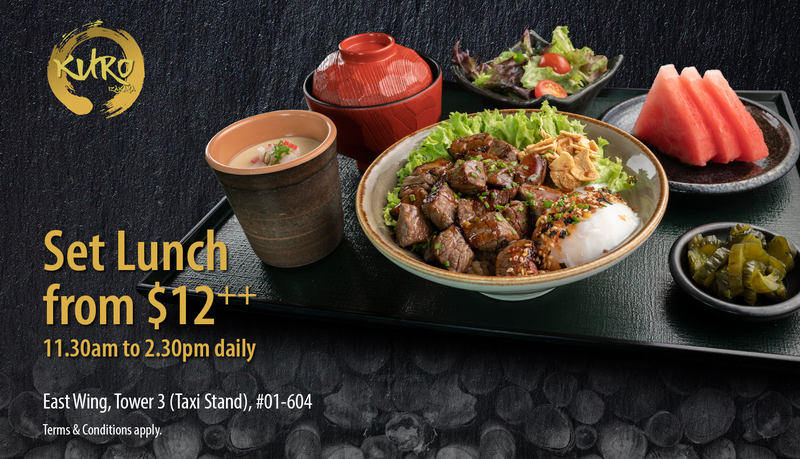 Enjoy Set Lunch from $12++ at KURO Izakaya. Available daily from 11.30pm to 2.30pm only. Promotion is not available on Public Holidays, Special Occasions (i.e. Valentines day) and their respective eves. Other T&C apply. KURO Izakaya is located at East Wing, #01-604. You may use our NEW Interactive Directory on your mobile phone to find your way to your favourite shop, brand or product.